Something exciting is coming up!! 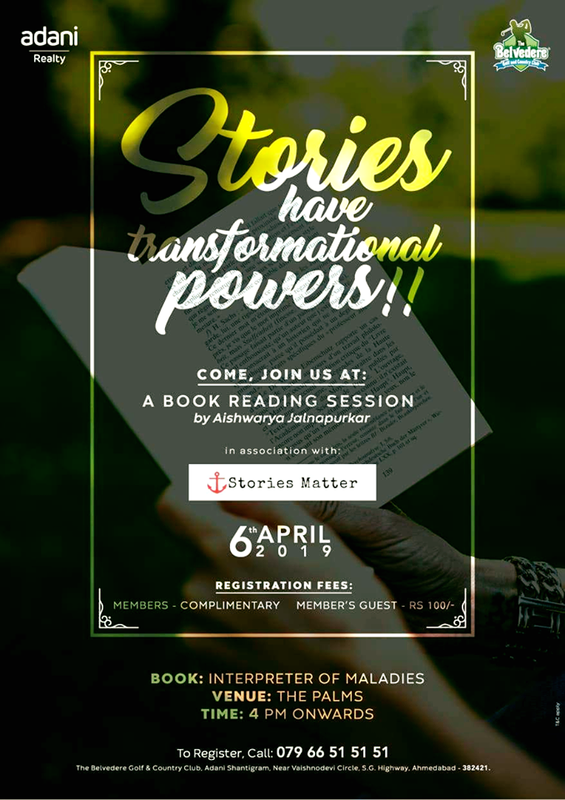 Join me for a book reading of my favorite, Interpreter of Maladies by Jhumpa Lahiri on 6th April at 4 pm at Belvedere Golf and Country Club, Adani Shantigram!!! Like, comment and share and actually turn up for it! Help me make this a success! !